Internet use is trending towards bandwidth-intensive content and an increasing number of attached “things”. At the same time, mobile telecom networks and data networks are converging into a cloud computing architecture. 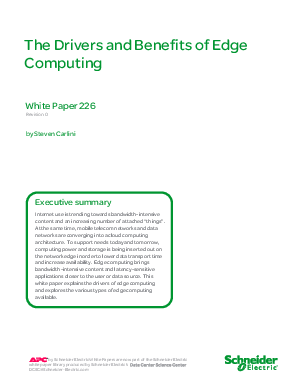 To support needs today and tomorrow, computing power and storage is being inserted out on the network edge in order to lower data transport time and increase availability. Edge computing brings bandwidth-intensive content and latency-sensitive applications closer to the user or data source.